I have always loved Christmas dishes. When I was growing up, I couldn’t wait until my mom pulled out the Christmas mugs. I had one that said “there’s no place like home for the holidays,” which goes along with my life motto that home is always the best place to be! I now have my own Christmas mugs, along with some dinner glasses and luncheon plates that I enjoy using all through December. 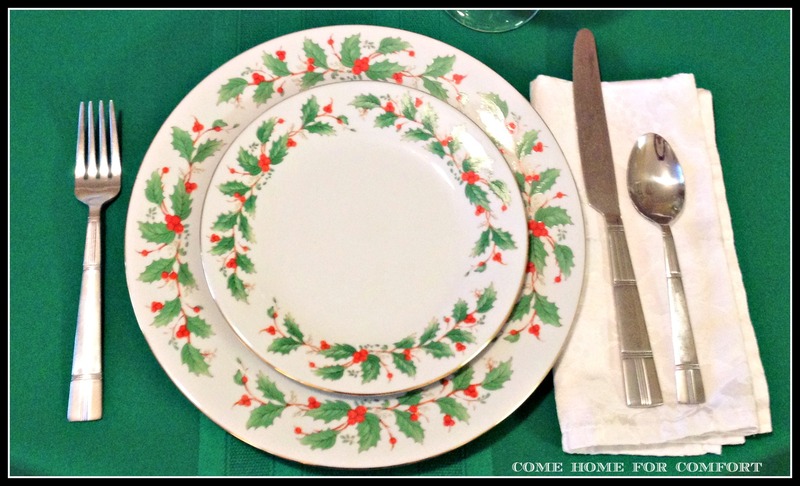 When my Gramma passed away last winter, my mom offered Gramma’s beloved Christmas china to me. I know my grandmother cherished that set of china and was always proud to use it. As Myra said in her post earlier this week, using things that belonged to your grandparents makes remembering easier. I also think it’s important to use special things often and not “save” them because they are special. We’ve eaten several meals off these dishes already this Christmas, and I’ve enjoyed remembering! 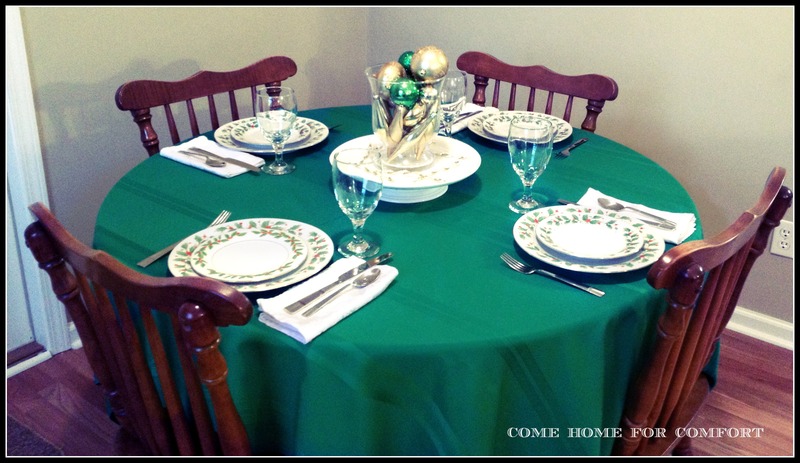 My aunt sent me a beautiful green tablecloth to go with my Gramma’s china. It really compliments the pattern on the dishes. 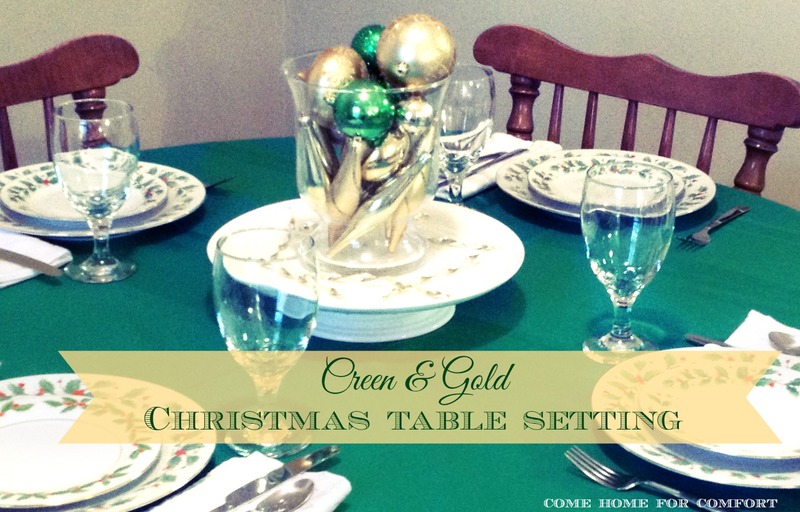 Here’s my traditional green and gold table that I set for Sunday lunch last week. Just like in my Christmas Eve Tablescape, I used a cake plate and extra ornaments for a simple and easy centerpiece. Do you have Christmas dishes or something that reminds you of a loved one? 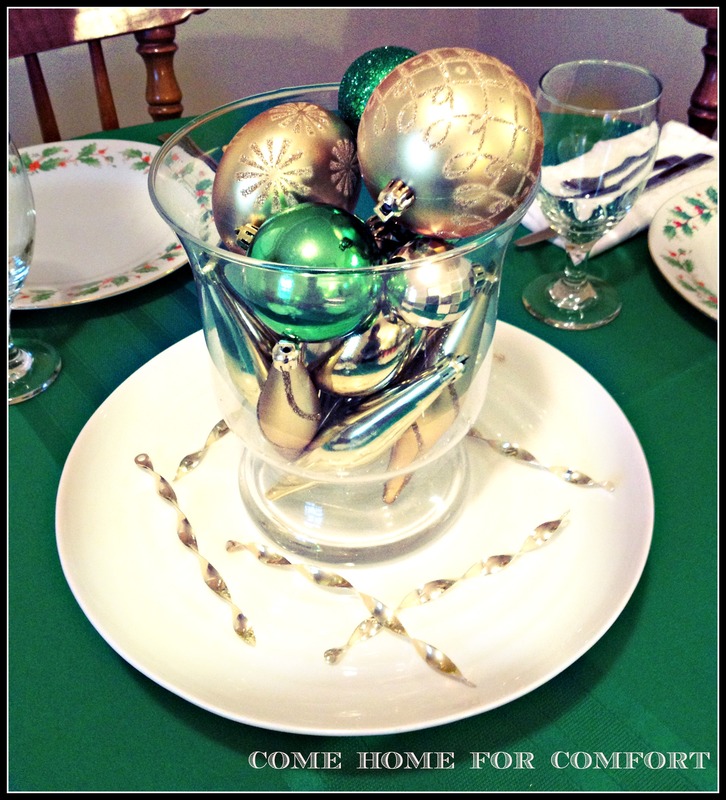 Whitney, Your Christmas table setting looks just beautiful! Merry Christmas!